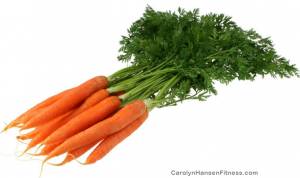 One of the most widely used and enjoyed vegetables in the world is the brightly colored carrot. Scientifically classified as Daucus carota, it is considered a root vegetable. The carrot top is the most popular and used part of the carrot, however the greens are also beneficial and great if used in salads and other dishes. Carrots are grown all over the world, exported worldwide and used successfully as fresh veggie snacks, savory side dishes and essential ingredients in many recipes. This healthy colorful root vegetable (found in colors ranging from white to purple with orange being the most popular) is rich in nutrients, providing a wide range of essential vitamins and minerals. They offer vitamins A (widely known for their antioxidant Beta Carotene content), B3, C, E and Carotene as well as potassium, calcium, iron and zinc. They help to reduce cholesterol, prevent heart attacks and keep certain cancers at bay. They are known to improve vision and reduce the signs of premature again, detox the body, improve digestion and increase heart health. They also help to maintain acidic and alkaline properties in the body. These tall slim beauties are easy to grow and can be eaten raw or roasted, baked, steamed, boiled and mashed for any savory dish but the real added benefit to carrots is that they are naturally sweet with a slight nutty taste and this sweetness works well in sweet as well as savory dishes giving them a broad range of use. Like other fresh veggies, they taste best and provide the most nutrition when home grown or organically grown. Choose brightly colored, uniform in shape and size, firm to the touch, relatively young, thin carrots as they will be slightly sweeter in taste than the larger older carrots. Avoid carrots that are soft, withering or have yellowing tips. Forget about those “baby carrots” you often see at your grocers…there really is nothing baby about them. They are not young, nor are they any sweeter. They have simply been pressed through a machine that skins them and shapes them into those smaller bite size pieces. They may very well be those “larger, older carrots” they are using for this process. 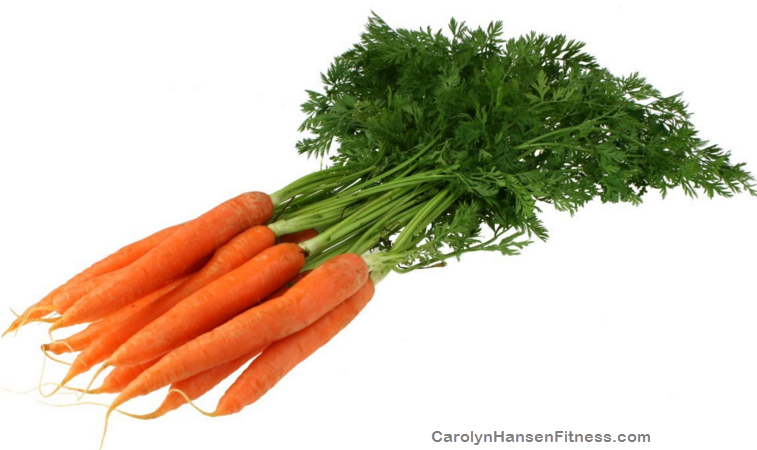 You’re better off buying your own fresh organic carrots and cutting them as you use them. Carrots contain more sugar than any other vegetable (besides sugar beet) and this natural sweetness combined with the nutrient density of carrots has made them hugely popular to use in fresh juice and in smoothies as well as healthy desserts. They offer not only sweetness to every recipe they are invited to but moisture as well. The moist sweet carrot cake has been around and evolving since the Middle Ages (thought of as a pudding then) and nearly everyone has enjoyed a slice of this sweet cake at one time or another. After washing and removing their green tops, store your carrots in the coldest part of your refrigerator offering the highest humidity. You can also add a bit of water in the bottom of the bag to keep them crisp and colorful. Like other veggie superstars that work in both sweet and savory dishes, carrots add flavor, sweetness, moisture, texture and color to every dish. Most of the mineral content in carrots is actually located near the skin so it’s best not to peel or scrape off the skins. Just scrub clean if necessary and store properly. That’s another advantage of buying organic carrots. You can eat them right out of the bag and never have to worry about peeling. Do not store carrots near fruits such as apples and pears because they release ethylene gas that causes carrots to turn bitter. Isn’t it time you began introducing much ignored nutrient-dense veggies into all your dishes…including your desserts? Why not make every bite you take count!